Visually seductive work which may leave you feeling irritated. 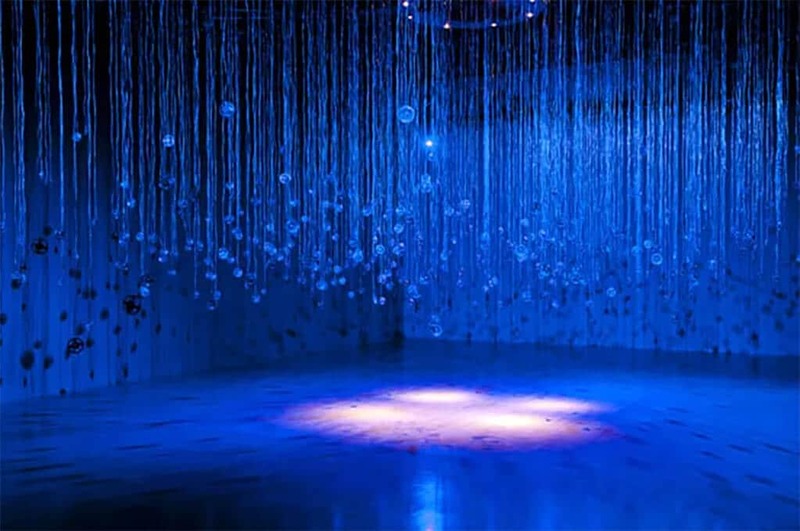 Susan Hiller describes herself as a curator as well as an artist. She makes work out of objects that she’s collected over the years. She collates information, too, and personal testimonies. These all go toward making works whose primary aim is to question meanings and categories and belief systems. These belief systems are those that are often found on the outer fringes of mainstream norms – or, if you’re put off by the dry language of academe – which Hiller isn’t – the loopy stuff that’s a bit “out there”: paranormal activity, alien abductions, séances, the healing power of holy water, levitation, auras. All these are dealt with in Hiller’s work. Whether she believes in any of this stuff herself I couldn’t tell you, but her fascination has endured for over four decades in her work as an artist, though why she seems never to have touched astrology is a further mystery. Perhaps a belief in the power of celestial bodies to affect human behaviour simply doesn’t figure with Hiller’s tendency to aesthetically frame her preoccupations through a quaintly Victorian or early-20th-century lens. This may be because that was a time when artists got sucked in by some interesting “out there” ideas themselves. Today, Hollywood stars who profess faith in Scientology, or who flaunt their Kabbalah bracelets, or who embrace whatever half-baked spiritual fad happens to be floating on the ether, are routinely derided. But back then a commitment to the ideas expounded by Madame Blavatsky, a more than passing interest in Theosophy and the occult, a belief in the cosmic significance of geometric lines no less, were pretty much what you’d expect. And it was all taken terribly seriously. So ponder one of Hiller’s installations of “holy water”, The Tao of Water: Homage to Joseph Beuys, 1969-2010 (pictured). 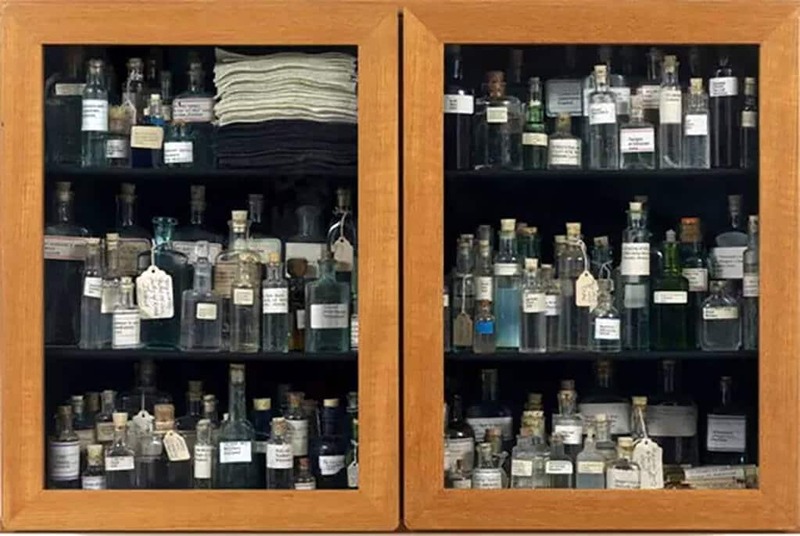 Arranged in an old-fashioned cabinet is a cramped display of tiny Victorian medicine bottles, each filled with water apparently sourced from middens and wells renowned for their supposed healing properties. Like a lot of Hiller’s work, it’s visually arresting in a traditionally feminine, daintily pretty way, but it’s given intellectual ballast with its dedication to Beuys, the biggest shaman-artist of the 20th century. Similarly seductive are Hiller’s collections of old illustrated postcards depicting English seaside resorts lashed by stormy seas, many neatly arranged behind prisms of coloured glass. Whatever the purported intellectual underpinning of Hiller’s work, there is much that is just irritatingly fey, or just plain irritating. Inviting a group of friends to sleep inside a “fairy ring” formed by mushrooms on a Hampshire farm, and then getting them to record their dreams as an exploration of the unconscious in Dream Mapping, 1974, is really as dull as listening to anyone jaw on about their fascinating dream of the night before. Being presented as an artwork makes it no less dull, no less eye-rolli, no more insightful. Hiller’s early training as an anthropologist, a career she rejected on the grounds of its apparent phoney objectivity, has been much commented on, for she apes its methodology, assiduously documenting and cataloguing and presenting written or audio-recorded commentaries. And as much as anything she’s concerned not just with the subjectivity of experience but the subjectivity of interpretations of the world presented as fact. Enquiries/Inquiries, 1973-75, for instance, presents two screens on which encyclopaedic definitions – from petrified pebbles to the etymology of words and phrases – roll by. One screen presents the “facts” from an English source, the other from an American one, but we just have to take Hiller’s word for it that the two definitions are at constant variance: they change on the respective screens so quickly that the viewer is unable to give them more than a cursory read-through, if that. Indeed, there is something rather imperious and perversely dogmatic about Hiller’s issue with “so-called” objectivity that itself is objectionable, since this seems to give her permission to treat every hokey idea with the same kind of seriousness – or non-seriousness as the mood takes her – as those ideas which may simply be wrong. The former doesn’t change despite whatever material evidence is thrown at it, and the latter does. It’s a basic difference, but one Hiller seems to have forgotten, as have the writers of the catalogue that accompanies this exhibition, insisting, as they do, on referring to the “so-called” scientific method – as if everything can be reduced to the same old humanities-driven, culturally relative gloop. This is groan-inducing. Still, this is a well-curated exhibition and it shows Hiller’s work to great advantage. Few could fail to be visually dazzled by Witness, 2000 (pictured), or powerfully moved by Monument, 1980-81. The first sees a spectral glow emanating from a darkened room where hundreds of translucent, glinting wires hang from the ceiling. From each of these wires dangles a small oval speaker transmitting a tale of an alien visitation or abduction (a babel of different tongues hiss out of the work as a whole). But it’s the dramatic staging of the piece that’s far more seductive than anything to do with what the work’s “about”. I’ve certainly never seen it displayed so well. However, it’s Monument, featuring a series of photographs of Victorian ceramic tiles commemorating those who died helping others, that packs the biggest visceral punch. It’s a reproduction of the Monument to Heroic Self-Sacrifice in the City of London’s Postman’s Park, though the images here are displayed in the shape of a cruciform, with the 41 prints corresponding to the age Hiller was when she made the work. But although Hiller tries to broaden the significance of the work in line with her own preoccupations, the simple and devastating testimonies pinned up on the wall far transcend Hiller’s drily ponderous and achingly pseudo musings on death, memory and consciousness that accompany the piece. This review first appeared in The Arts Desk on 3 February, 2011.